Complete Bartelt 7-16 IM with Ishida Scales, Loma Metal Detector, Mezzanine, Heat and Control Fastback, and Bucket Elevator for sale. This complete Bartelt 7-16 IM with Ishida Scales, Loma Metal Detector, Mezzanine, and Bucket Elevator complete system for sale. At HPP we build entire lines so you don't have to worry about piecing your system together. We rebuild the packaging machines and build the mezzanines to your spec. 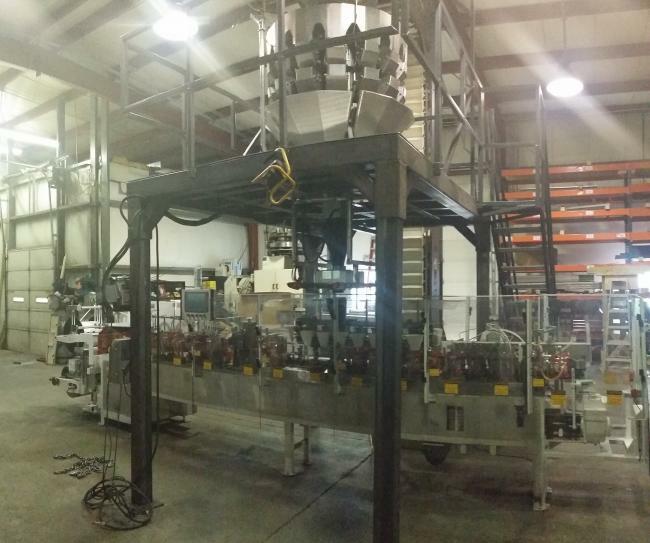 Let High Performance Packaging build you a complete Bartelt packaging line. Looking for a complete packaging system to install in your packaging facility? Visit High Performance Packaging for this used Bartelt system and many more.